On the off chance you aren’t the number one pop star on the planet, spending your summer gallivanting across the world with a hot British guy, you can still dress like you are. You’ve heard of the 1989 World Tour, but Taylor Swift’s latest romp is giving that tour a run for its money. And as a crazy Swiftie, I’m obsessed. In case you’ve somehow missed it, Tay has been spending her summer jetting from place to place with her new boyfriend, actor Tom Hiddleston. Together, they are Hiddleswift (or Swiddleston or TayTom, if you prefer). 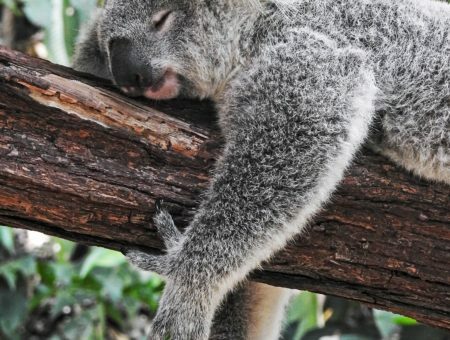 Even as I work on this article they continue to grace new locales, like Australia, with their glorious presence. The best part of all this for a style obsessor like me is that Taylor has returned to her classic blonde hair and girly-meets-trendy style, which I love. I’ve created this post so you can imitate said style for whatever awesome adventures summer brings you, even if they bear no resemblance to TayTom’s escapades. Also, while Tay has been rocking Rebecca Minkoff and Reformation, every item in this post is under $60. You’re welcome. Taylor had fun with her BF and BFFs at buddy Selena Gomez’s concert. While in Nashville, she also introduced Tom to her parents! This crop top and midi skirt combo is great for a dinner date. The skirt length balances out the teeny top, and black accessories keep all the focus on the cool monochrome look. Plus, flats are a must for dancing. Add pearl studs as a very Swiftian finishing touch. Products: Top, Skirt, Shoes, Bag, Earrings, Poster. 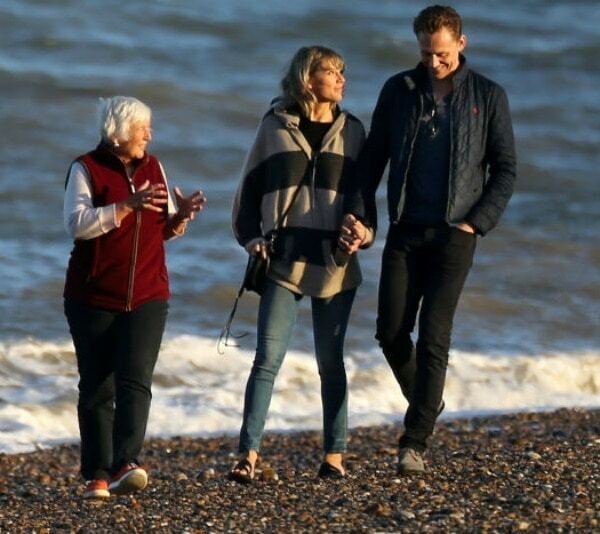 Next up, the duo visited Tom’s native England, where Taylor met Tom’s mom. I love how relaxed Tay looks for their adorable beach stroll! This loose sweater and jeans look is great for a crisp summer evening, and it’s the ultimate vacation look. A supersoft oversized sweatshirt or even a poncho (Tay’s topper seems to be kind of a cross between the two) has a luxe, effortless vibe. Slide sandals keep Taylor’s warm look summery, and show a little peek of skin under her layers. 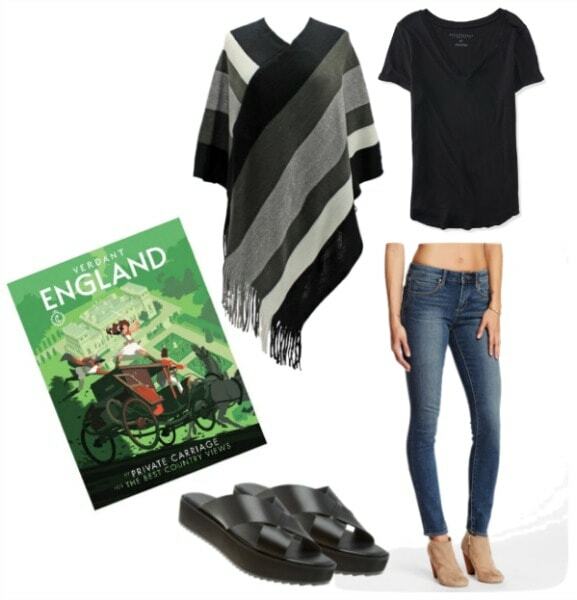 Products: Poncho, Tee, Jeans, Sandals, Poster. 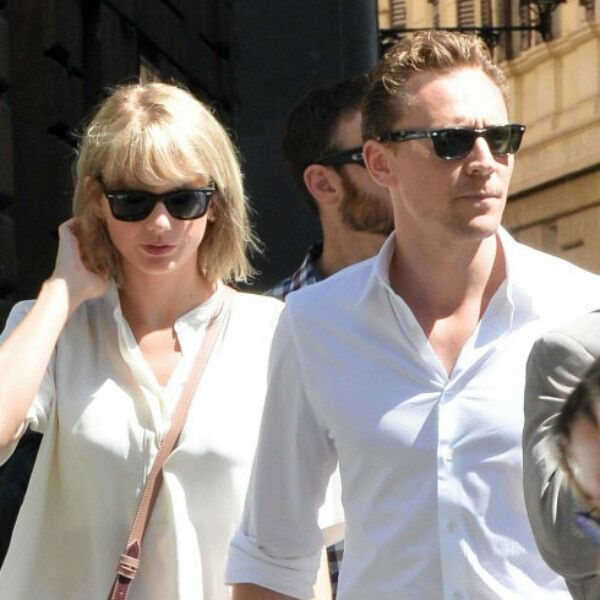 Rome was my personal favorite stop on the Hiddleswift 2016 world tour, both because it’s one of my favorite cities and because the two of them looked so cute playing tourist together. Also, of course, because of the fashion (you can see all of Taylor’s Rome looks here). Nothing beats a bright yellow dress for summer, and the hue is extra fun when paired with a bright blue accessory. While Taylor went with kitten heels, you’ll probably be happier in cute flats. And don’t be afraid to add another hit of color with a bold lip! 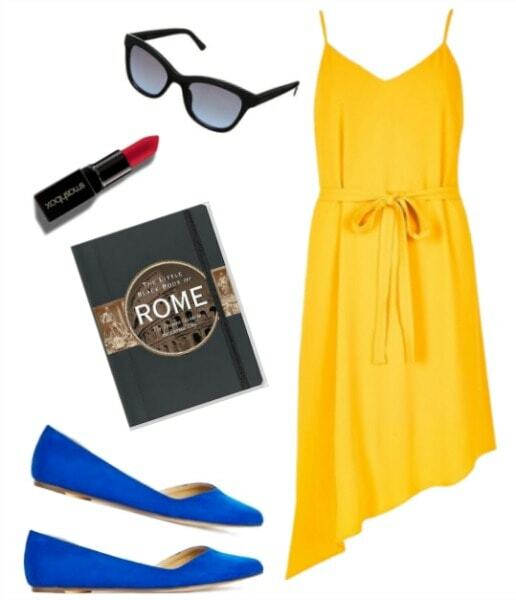 Other than touring the Colosseum, this look is great for brunch, shopping, checking out a museum, or basically any other relaxed summer activity. Add a jean jacket if you’re somewhere where they really crank the AC. 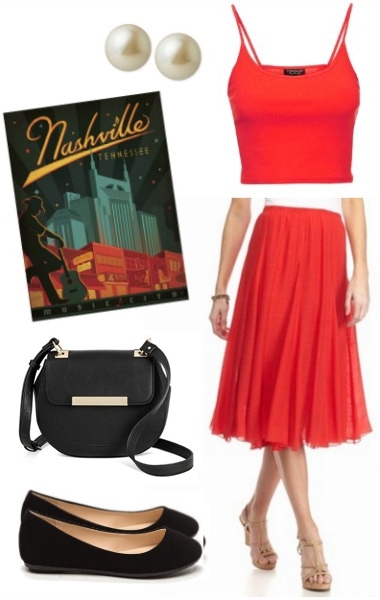 Products: Dress, Flats, Sunglasses, Lipstick, Guidebook. What’s your favorite look Taylor Swift has worn lately? Are you following her and Tom’s travels as obsessively as I am? Where would you go on your dream romantic vacay–and, more importantly, what would you wear? Let me know in the comments!